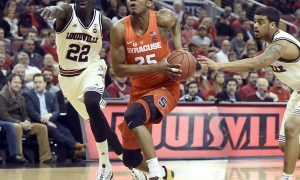 Syracuse and Virginia, A Budding Rivalry? I know what you’re thinking. Here we go again, another writer trying to force a rivalry upon the SU fan base. To that I say, fair. However, before you rule out a rivalry between the Orange and the Cavaliers, consider the kind of games that have been played between the teams. First step to creating a rivalry: play in the postseason. No problem. 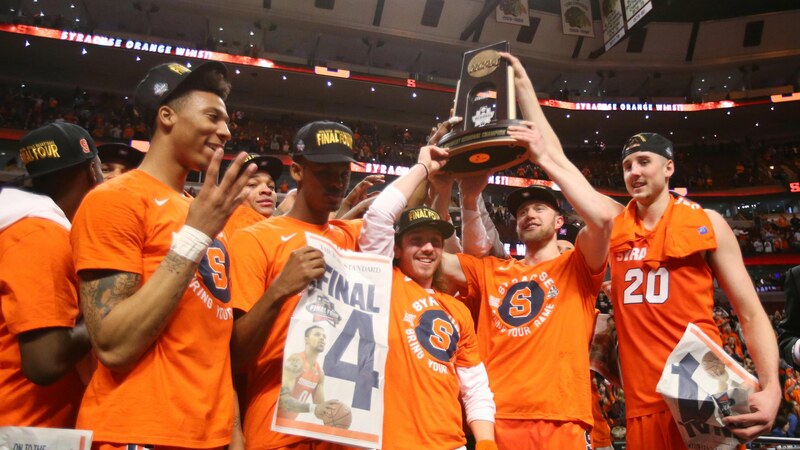 Syracuse and Virginia in the 2016 Elite Eight was magical. 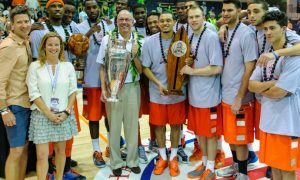 Jim Boeheim’s 6th trip to the Final Four was perhaps the craziest of them all. We all know the story, Malachi Richardson leads the Orange to a miraculous comeback win. You don’t think Tony Bennett and company were angry after that loss? You know they thought they were the better team, and they probably were. Fast-forward 11 months later and you’ve got another instant classic between the two teams. There wasn’t a trip to the final four on the line, but it was maybe the next best thing: Jim Boeheim’s 1,000th* win at Syracuse. Oh by the way, it was another crazy comeback. That was also around the time when people thought the Orange was a tournament team. Welp. Anyways, think about those two games. 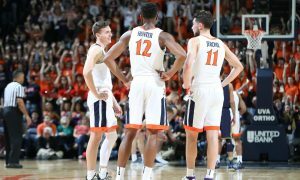 Virginia is going to be looking for revenge on Tuesday against SU. Also, coach Bennett should be pretty fired up too. Boeheim and Bennett are two of the most well respected defensive coaches in the country. So that adds something extra to the rivalry, right? Personally, this makes a lot more sense than the “rivalry” SU apparently now has with Duke. The biggest reason is that Duke already has a rival: North Carolina. That’s never going to change. The bottom line is that Syracuse and Virginia play competitive games. All time, Syracuse is 5-4 against Virginia. All but two of those games have been decided by single-digits. Before the Orange started its current two-game winning streak, the Cavaliers won three in a row. In the Tony Bennet-era, UVA leads the series 3-2. Before that, the teams met in 1984 and 1990 in the NCAA Tournament, splitting the two meetings. The rivalry expands beyond just basketball too. Syracuse and Virginia have had their fair share of great games in lacrosse. Thanks to the dumb ACC scheduling rules, there’s probably no hope for the football games. If Syracuse somehow upsets Virginia on Tuesday, let’s all agree that this is officially a rivalry. I say that because it would be an incredibly unlikely outcome. The SU offense musters enough points to beat the best defense in the country? My guess is Virginia’s 52.5 points per game average decreases after the game is over. But if Syracuse wins, let the rivalry begin.